Don't feel guilty - You can't do it all. Thank you for considering A+ Loving Care. Here is some information about our Personal Care Service. A+ Loving Care remains one of the most highly respected and well known home care registries in the Roanoke and New River Valley. Service is individually customized to clients' needs - hourly or Live-in, Short or Long term. A+ Loving Care is available 24 hours a day, 7 days a week. A+ Loving Care, Inc. is a referral registry that provides temporary and permanent placement of caregivers in homes, hospitals and nursing homes. 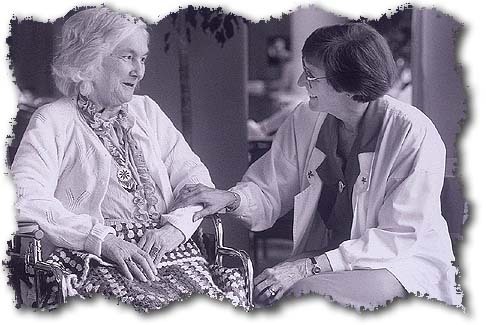 A+ Loving Care is committed to providing affordable health care for you and your loved one. We offer services that are flexible and individually designed. Our director is a state licensed Registered Nurse with a Masters degree in Nursing and a M.B.A. with over twenty years of experience in the hospital and home health care field. By providing prompt and reliable service, A+ Loving Care has secured a remarkable relationship with hospital discharge planners, social workers, physicians, care managers, associations, home health agencies, assisted living facilities, retirement communities and nursing homes. The majority of our referrals are based on word-of-mouth from satisfied clients, and health care professionals in the community. You can be confident that any person referred by A+ Loving Care is qualified, and committed to compassionate professional service. And you don't have to pay a premium for this level of service... Our rates are among the lowest in the valley. Put A+ Loving Care to Work for You! At A+ Loving Care we make it easy to take advantage of our wide range of services. Call us at (540) 387-9083 to learn how we can meet your needs.